It’s important for business travelers to identify places where they want to do business and invest their time and money. Some governments just seem to understand how to build an attractive place to live, work and play. Thus there are some cities which work and others which don’t, that’s why we think it’s important to identify the cities of the future. 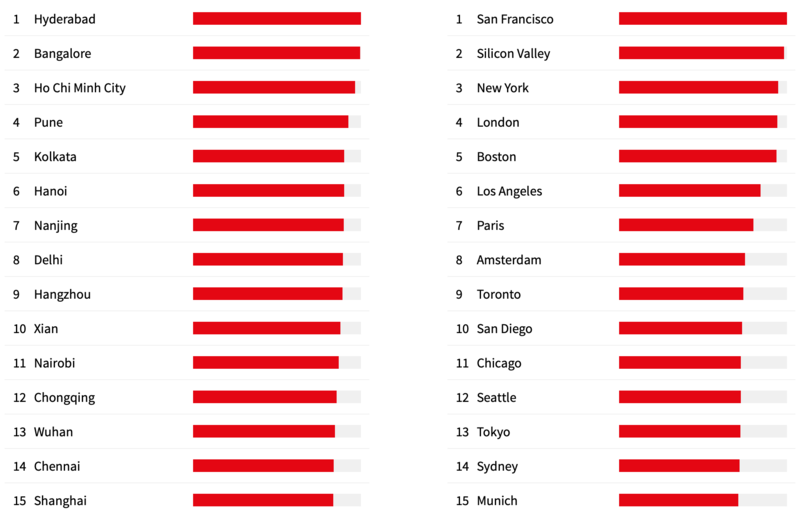 cities which possess the attributes for success over the short and long term. The Index covers 131 major established and emerging business hubs across the globe, measuring each city’s short-term socio-economic and commercial real estate momentum, together with its ‘future-proofing’ capacity – the ability to maintain this momentum over the longer term. The report focuses on cities which have the qualities necessary to manage and benefit from the rapid technological shift in the global economy and assesses their future-proofing potential – potential founded in factors such as innovation capability, talent and world-class higher education; high levels of technology start-ups and scale-ups; patent applications; public infrastructure; and the quality of the environment. Asian cities dominate the short-term growth trend though are as strong when it comes to future-proofing themselves. The need to take into account a city’s future-proofing capabilities is increasingly recognised by real estate investors, developers and corporations. For investors, there is an imperative to comprehend which cities will be able to gain from technological transformation for long-term value preservation and growth. Developers can contribute to city success by understanding city strategies and their capacity for supporting the move towards new types of economy activity, enabling them to produce transformational projects that facilitatecreativity, innovation and the sustainable communities that businesses and workers are now demanding. And with access to talent a key consideration for corporate location strategies, businesses need to know which cities have the attributes necessary to attract and retain skilled workforces. But it’s also important to identify the cities exhibiting the greatest short-term economic and real estate momentum (over a three-year horizon). These cities are undergoing significant change to their urban fabric as they build out the infrastructure to meet urgent demand, and many are quickly moving up the value curve, dominated by cities in the Asia Pacific region. Tasting Japan? It’s A Good Idea!